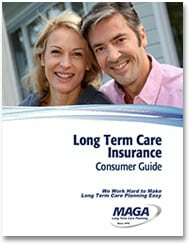 Once people start to learn about Long Term Care Insurance (LTCI), they often have questions. Here, we answer those we hear most often. What is the underwriting process for LTCI? Whether you’re considering a traditional or asset-based LTC plan, step 1 of the process is to answer a preliminary health questionnaire. This determines which insurance carriers will consider you, based on your health history. Depending on your health, you may qualify for one carrier’s plan but not another’s. Then, most carriers will conduct a phone interview with applicants. Some companies also require a paramed exam, as with life insurance. Exams can include blood work, urinalysis, height, weight, blood pressure screenings and, depending on age and family history, a cognitive screening. Over the past five years, carriers have become more thorough in their underwriting, drawing on what they have learned from claim statistics regarding health conditions that lead to claims, claim duration, and more. How does LTCI underwriting differ from life insurance underwriting? With life insurance, most carriers require a paramed exam if the requested benefit amount warrants it. This is not always the case with LTCI. For asset-based life and LTC plans, many carriers will start with a phone interview and then order records or paramed exams if needed. How could this affect LTCI premiums? Traditional LTC plans typically have 1-4 rating classes. The difference in cost between classes ranges from 15-50 percent, depending on the carrier. Some carriers will limit a person’s benefits if they are in a higher rating class. What happens if the insurance company that underwrote your policy exits the market? What if they go out of business? If your company exits the business, your carrier is still obligated to service the policy as long as your premiums are paid. Your policy is a legal contract. If your company sells your policy to another carrier, they must also honor your policy. Insurance companies pay into state guarantee associations to protect against carrier insolvency. If your carrier goes out of business, your state will guarantee a fixed amount of your policy. Should I monitor my LTC policy? How? Is it like monitoring a cash value life policy? We recommend reviewing traditional policies every few years. This will allow you to see what your current daily/monthly benefit is as well as how the total benefit pool has grown over time. Asset-based plans come with an illustration that show where your guaranteed benefits will be year-to-year. Many carriers will send you an annual update to review each year. How has the Affordable Care Act changed the LTC market, and if so, how? The ACA doesn’t include LTC protection, so it hasn’t affected anyone’s coverage. What it has done is made people more aware that this is their responsibility, not the government’s. As a result, more people are buying LTCI policies, and earlier. It’s helped lower the average policyholder’s age from the mid 70’s to age 57. Can I use a 1035 exchange or another asset to defray the cost of LTC insurance premiums? Yes. When the Pension Protection Act took effect in 2010, it allowed you to take an annuity or the cash value in a life insurance contract to pay for an LTC policy without tax ramifications. 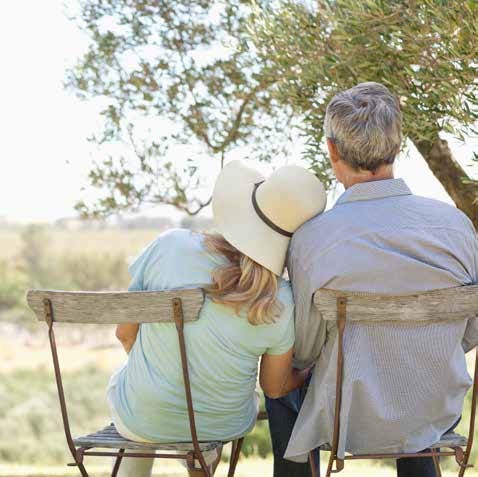 Interest accrued over the years from an annuity or cash value from a life insurance policy will be tax exempt when converted to an asset based life or annuity with LTC. Have more questions? Never hesitate to ask your financial advisor or LTCI specialist for information. That is what they are there for!